You have got to be not from this galaxy to NOT know that there is this thing called the Ateneo-La Salle rivalry. So, alright! The rivalry has deteriorated these days to the level when it has become even embarrassingly polite. I mean, if you had watched last Wednesday’s UAAP women’s volleyball finals, then you would have seen people wearing various shades of green and blue sitting right next to each other enjoying the game. Like members of an extended family enjoying a picnic. Suffice it to say that the rivalry was not always so convivial. Time was when one could get a Vhong Navarro for wearing the wrong colour shirt in the wrong colour place. That was why, a college classmate and I, novices as we were to the rivalry back in 1975 when we were freshmen, were shocked at opening the door leading to the bleachers of the coliseum to find a sea of blue in front of us. Have I said before that, back in the day, I could sprint the hundred meters in 11 seconds flat? That was why my poor non-athlete classmate was short of breath when he finally caught up with me in the safety of the green side. Truth was, I was originally from Lipa; and while we knew of the rivalry, we had better things to do than to trouble ourselves with it. Going to Taft for college, however, made the rivalry something more tangible. For instance, to this day, I can still remember the print on a white shirt being sold at the Archers’ Nook in front of the DLSU campus: a pitiable eagle with a broken egg beside it and the caption Blue Eggless. I’m sure they sold something just as derogatory in front of the Loyola campus. The rivalry, mind, was not merely a sporting thing. Don’t all college freshmen get asked on the first day of classes to introduce themselves and state the schools where they came from? There was another classmate who was originally from Assumption but whose boyfriend was from Ateneo. She had the utter lack of Lasallian pragmatism to wear her boyfriend’s Ateneo jacket one cold day and the utter gall and cheek to complain that she was being booed wherever she went around campus. After the initial good-natured heckling, of course, those who cross over are eventually embraced as part of the green side. In fact, one of my closest friends in college was a teammate who played high school football for Ateneo. The question of affinity arrives, of course, whenever the two schools square off against each other such as in a high-profile sporting event. I have asked my former teammate about this and his reply was non-committal. Of my students in Lipa who went to Ateneo for college, there isn’t even a dilemma because, obviously, they do not feel any sort of affinity with the Taft campus. The problem always is whenever they get together with high school classmates, many of whom would obviously have gone to college at DLSU. A lot has been said about the rivalry having started early in the 1900s when Ateneo’s campus was in Manila quite close to La Salle, as a matter of fact. However, even in the States, there is an understated rivalry between schools run by the Christian Brothers and those by the Jesuits. In the States, though, few schools of the Christian Brothers are actually called La Salle. The late Brother Rafael Donato, with whom I worked very closely for about a decade, always used to insist that he could not understand why either school could feel so much animosity towards the other. The truth was, he liked to theorise, the two schools were so much alike. Albeit, he would grudgingly admit, that was also probably the reason why the rivalry was also so intense. Now, if you come from either side, why don’t you bite back the eeuuww forming inside your mouth and give it a thought for a moment. 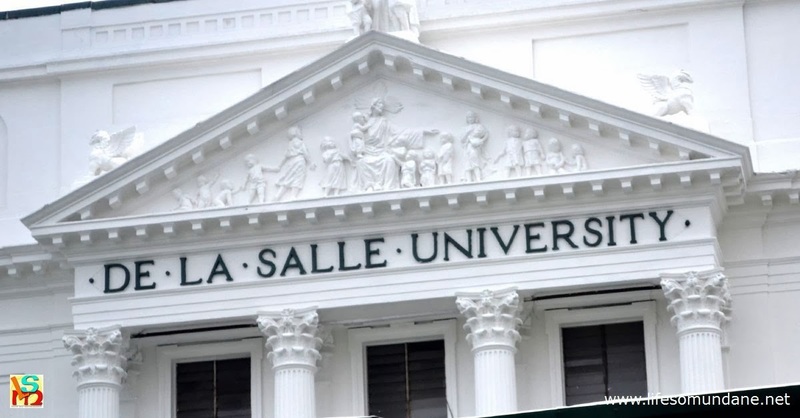 It used to be said that you went to La Salle for business and to Ateneo for the Arts. But that is not at all true anymore. Neither school would compromise the quality of its education and both cater to upscale markets. By God – coño! – the good Brother had a point!